Rarely available to the market, is an Edwardian three bedroom, double fronted detached house; with off street parking. 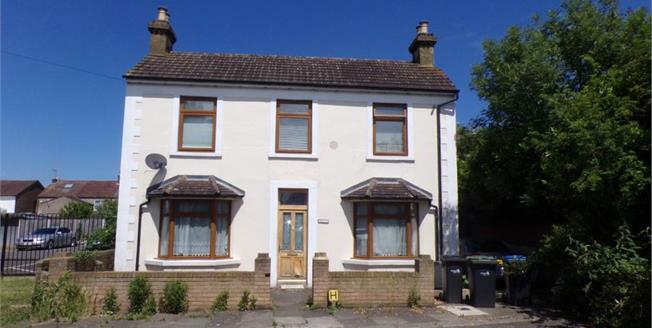 Situated on a quiet cul de sac close to Enfield Lock Train Station. The ground floor has two receptions, ample storage and a generous sized kitchen with two exits to the spacious garden. The first floor comprises of three bedrooms and a family bathroom; again with ample amount of storage and the bedrooms are situated at different sides of the house given that the property is double fronted and boasts a quite considerate layout for privacy. There is also potential to extend and convert the loft and garage STPP. The property is going through light modernisation and would be ready with pictures shortly; open to viewings before then - please feel free to call tje office for further information or to book a viewing: 02083673670.